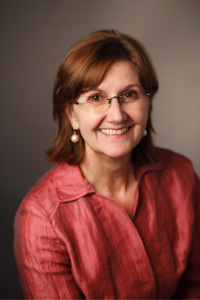 Dr. Paula M. Carbone is an Associate Professor of Clinical Education at Rossier. Her research interests center on teacher preparation in secondary, urban contexts. She is also an expert in the area of promoting equity and access in urban education through literacy, specifically policy implications and academic writing. Her current research focuses on literacy pedagogy, specifically with bi-lingual and bi-cultural students in Generation 1.5. She is investigating writing instruction in varied secondary, urban contexts over time for models of teaching with students who have not had rigorous, consistent experiences with academic writing. Dr. Carbone is also investigating pre-service teachers and online instruction, looking at the relationship of theory-into-practice. Before coming to Rossier Carbone was a high school teacher in Los Angeles where she encountered firsthand the significant number of underrepresented students recycled through remediation, effectively constraining their access to rigorous, consistent experiences with academic literacy, inspiring her field of interest. Carbone received her Ph.D. in Education from the University of California, Los Angeles, her M.Ed. from the University of California, Los Angeles and a Bachelor of Fine Arts in Theater Education and Language Arts from Boston University, College of Fine Arts. Current research is focused on the trajectories of first year English Language Arts teachers in secondary settings and their implementation of strategic learning from their teacher education preparation, especially in writing instruction and assessment. The purpose of the course is to situate U.S. education within the global context, and examine the impact of global issues on education (nationally and internationally) in the 21st Century. This course examines global issues and their impact on educational outcomes. Focus is on situating U.S. schools within a global context, examining possible causal effects on disparities in educational outcomes between the U.S. and other nations. This course examines the underpinnings of educational theory and practice from sociological, political, and policy perspectives for the purpose of understanding the complexities of education. Educational change will be examined from historical and contemporary perspectives, with emphasis on the promise of current efforts. The course is designed to address the inequities of education from a social analysis perspective, and evaluate educational settings and their relationship to society in order to suggest theoretical and empirically based action grounded in social and educational justice. This course is one of two tracks (Cardinal and Gold) of the Inquiry II course of the Rossier School Ed.D. program. Both tracks build on Inquiry I by providing additional opportunities to gain experience gathering, analyzing, and interpreting data. The purpose of this course is both practical and theoretical. Teacher candidates will begin to build pedagogical practice through fieldwork observation and reflection and through practice in planning and implementing rigorous and relevant learning opportunities for all learners. Along with a focus on designing learning opportunities for diverse learners, candidates will engage in a continual cycle of reflection for critical interrogation of their observations and experiences. In order to implement instruction providing academic opportunities for all students, candidates will examine pedagogical practice not only to build a toolkit, but also to question practice and curricular decisions for purpose, relevancy, equity and access within varied contexts. EDUC 513B, Secondary English prepares teacher candidates to research, design, implement and refine courses which are engaging, challenging, and individually/group responsive standards-based learning experiences in the study of language arts. This course proceeds from the assumption that all students, including those who have experienced opportunity gaps, learn best from instruction that is accelerated rather than remediative, reflecting high-level thinking and content for learners at all levels. This course strengthens practitioners’ approaches to literacy development with diverse learners. Emphasis is on ways to facilitate, mediate and intervene in the development of adolescent literacy in English and Social Studies while addressing both content and instruction. Integration of literacy within the disciplines and the connections between the literacies students practice outside of school with academic is examined through a socio-political lens. This course prepares participants to critically examine research and practice in preservice and inservice teacher education, to take a leadership role in the design of approaches and programs that prepare teachers for diverse and underserved students. Thematic Chair for Ed.D dissertation students. Mentor their research and writing skills as they complete their dissertations. Carbone, P. M. (2014). Aristotle in the classroom: scaffolding the rhetorical situation. Voices in the Middle, 21(3), 41-48. Carbone, P. M., & Reynolds, R. (2013). Considering Community Literacies in the Secondary Classroom: A Collaborative Teacher and Researcher Study Group. Teacher Development. Carbone, P. M. (2012). Writing Instruction to Support Generation 1.5 Students’ Acquisition of Academic Persuasive Writing. In B. Yoon & H. K. Kim (Eds.). Teachers’ roles in second language learning: Classroom applications of sociocultural theory. Charlotte, NC: Information Age Publishing, Inc. Carbone, P. M. (2010). Using commonplace books to help students develop multiple perspectives. English Journal, 99(6). Carbone, P. M., & Orellana, M. F. (2010). Developing academic identities: Persuasive writing as a tool to strengthen emergent academic identities. Research in the Teaching of English, 44(3), 292-316. Martínez, R., Orellana, M., Pacheco, M., & Carbone, P. (2008). Translating Voices: Connecting Bilingual Youths’ Translation Experiences to Academic Writing. Language Arts, 85(6), 21-431. Pacheco, M., Carbone, P., & Martínez, R. (2006). Professional book reviews: Learning from multilingual and multicultural students to plan literacy curriculum. Language Arts, 84(2), 194-6.